SEP-IRAs, which are treated the same as regular IRAs, are used by business owners to offer their employees retirement benefits. Funds may be invested in the same way as other IRAs. For self-employed individuals, there is no large administration charge. However, if the self-employed individual has employees, the same benefits must be offered to them. IRS Pub 560 provides full details about SEP products. The establishment and contribution deadline is the same as the employer’s filing deadline for tax returns or extensions. Received $500 or less in compensation during the tax year. Has worked for the employer for three years or more during the past five years. 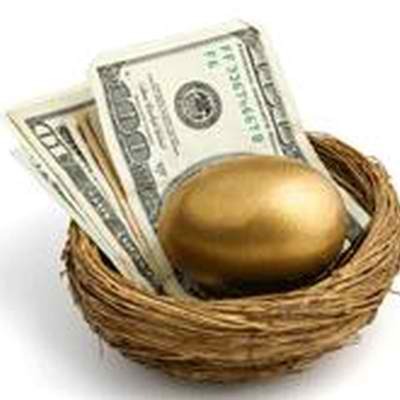 When qualified withdrawals are made after the age of 59 1/2, regular tax rates are used for SEP-IRA funds. Contributions are deductible, and they are a good way to lessen individuals’ income tax liabilities. However, it is important to keep contribution limits in mind. Contribution Limits. Contributions to SEP-IRAs are treated as parts of profit-sharing plans. Employers may make contributions to employees’ accounts that equal up to 25% of their wages. For example, if a worker brings in $100,000 in one year, the employer could contribute up to $25,000. Contributions should not exceed this percentage or the annual contribution limit, which is a specific dollar amount. Since this amount can change each year, it is best to discuss the current limit amount with one of our agents. Employers may make contributions until the date when their annual return is due. Self-Employment Considerations. Contribution limits for self-employed individuals are more complex. The percentage is less than the amount for those who work for someone else. Computation formulas for this number can be found in IRS Pub 560. It is best for self-employed individuals to discuss the current percentage and contribution options with one of our agents. There are two specific issues affecting self-employed contributors, which are reduced rates and the FICA tax. 1. Reduced Rate. The limit of 25% for workers contributions applies to wages. However, it does not apply to net profit. If a business is set up as a sole proprietorship, the owner pays his or her own wages. He or she may also contribute up to 25% of wages, which is equal to the profits minus the contribution to the SEP. The CR reduction results in a 20% contribution rate. 2. FICA Tax. Contribution limits are computed from net profit adjusted with the self-employment tax deduction. The adjusted net profit amount is slightly higher than the net earnings. To learn how this amount is computed, discuss the process with one of our agents. In summary, 20% of 92.9% of net profit is the overall contribution limit. Keep in mind that proposed deductions for contributions are included in net earnings. Our retirement specialists at Tracy-Driscoll Insurance & Financial Services can help you better understand if a SEP-IRA is right for your business. Call us today at (860) 589-3434 to schedule a consultation.